Sinn Fein has kept education. What now for our schools? The future of academic selection, tens of thousands of empty seats in our schools, special needs, streamlining administration, school improvement, improving literacy and numeracy standards…. These are just some of the many issues facing our new Education Minister. Sinn Fein made the surprise decision on Friday to keep the education portfolio and Deputy First Minister Martin McGuinness vowed they will continue with their radical programme of change. The decision came after the DUP made clear that it would take the education department if was still available after its top priority, the Department of Finance and Personnel. In recent months, DUP leader Peter Robinson broke clear of his party’s traditionally conservative position on education and began talking about a shared future and his hopes for an integrated education system. During the election campaign, he even seemed to hint at favouring selection at 14 instead of 11. However, with Sinn Fein back in control of our schools, there’s concern that the row over academic selection will continue to rumble on. In the following comment articles written for The Detail, two education experts warn the new minister that there is much to do. Paul Hewitt, former headmaster of the Royal School Dungannon, and Michele Marken, past principal of St Joseph’s College in Belfast, recently co-chaired an advisory group commissioned by four of the main political parties. The politicians began meeting weekly in October 2009 to try and end the long-standing stalemate over what should replace the 11-plus. The talks were boycotted by Sinn Fein. Mr Hewitt and Ms Marken headed up a group of 12 education experts, representing all school sectors. A year ago they presented an advice paper to the politicans which called for a range of education issues to be tackled. Do we love our children enough? This is the question all our politicians should be asking themselves as they prepare for the new term in the Northern Ireland Assembly. As a teacher, recently retired headteacher, and as a parent who observed how our education system served my children, I know that within our current system parents are asked to make impossible choices about school transition at 11, impossible because the current political definition of a good school is a grammar school, and obviously all parents seek the best for their children. Even those politicians who claim that their reason for abolishing the official transfer test was to allow all children access to “good schools” refer to grammar schools only in this context. They miss the contradiction in what they are saying, for not all our children receive their ticket to university through that sector. While some MLAs and their parties implicitly believe in the virtues of open access they have continued to deny all of our children such access, by allowing the stalemate over agreeing arrangements for transition to post-primary education to carry the weight of a political anchor on other parties’ key aims. Does this suggest that the needs of our children are central to good decision-making or that political expediency, coupled with faithfully-held mantras about excellence being the preserve of one sector, continues to lead the debate on transition? The debate on transition has actually disguised and indeed misled the pressing need to see our education provision as a continuum, beginning with the crucial pre-school experiences of each child and concluding when each of us, as citizens, decides to call a halt to life-long learning. If we want to dedicate ourselves to community cohesion, capacity-building and creating a strong civic society, then the debate must include a recognition that every child’s first experience of education has the potential to map out his or her life as powerfully as the quality of our health service provision, our attitude to the importance of the Irish language, Ulster-Scots or the location of sports stadia. Within this educational continuum must be the scaffolding to support a robust and effective administrative system which creates confidence in end-users, our teachers, parents and pupils. The attempt to rationalise public administration, including setting up the Educational and Skills Authority (ESA) has met with argument offered only to delay or deny progress. Education and library boards are like the ships lost in the Bermuda Triangle, foundering on a sea of indifference as to how their skeleton staff can provide support to schools under constant pressure to implement and deliver new educational initiatives. Any knowledge and expertise developed by ESA has been within a silo, with little interfacing, lost, while awaiting political decisions. The Catholic Commission to review post-primary school provision has attempted to tackle empty school places and is making radical proposals which offer an enhanced quality of education but the argument is useless while some schools and parents fail to see themselves as part of the wider school community, within a civic society where all should be our equals. In this context the question of shared and sharing education becomes a central focus. We should not be afraid to engage in this discussion, because a crucial part of it is the realisation and acceptance that there are several ways to educate our children for a shared society and that no one way carries all the answers. Our Assembly can play a vital role, in setting up a group with a remit to encourage the value of sharing education and shared education, which seeks ways to formalise systems to enable progress which is sensitive to all. Our schools encourage pupils to stay in education and one of the toughest challenges for teachers is to see young people with good A-level grades unable to continue to further and higher education due to costs. This Assembly must tackle how retaining our students can be achieved. Scotland and Wales have led the way on university fees and if we want to continue the work of building an economically robust work force which is a wealth-creator for NI Plc then the priority is investment in education at all levels, including subsidising tuition fees at least to the current level. Not just the university research ratings but the quality of teaching delivered, and support for students to stay at a local university if they wish, is vital for our maturing society. Do we love our children enough? If this next Assembly considers these tasks by placing children’s needs and not political agendas at the heart of their deliberations we might make more progress than the last Assembly did. In May 2010 the Education Advisory Panel, set up by a cross-party group of MLAs addressing educational issues, presented a Portfolio of Advice on a wide-ranging list of topics central to improving the education system in Northern Ireland. The panel (EAP) reflected every sector of schools and colleges, including further and higher education. Uniquely for Northern Ireland, there was unanimity on every issue addressed, including how to deal with any interim problems created by the stalemate on transfer. It was agreed from the outset that transfer was a matter on which the various interests were divided and therefore for the Assembly alone to determine. At any rate most educationists are agreed that the focus placed on the transfer issue has been totally disproportionate to its importance, and certainly not related to the crucial and complex business of raising standards and improving the service in a period of recession and cuts in funding. Initially, it was agreed that, pending a political resolution on transfer, in which either it is abolished or one of several alternative methods of selecting pupils for transfer is identified, any temporary testing should be set up by and funded by government. 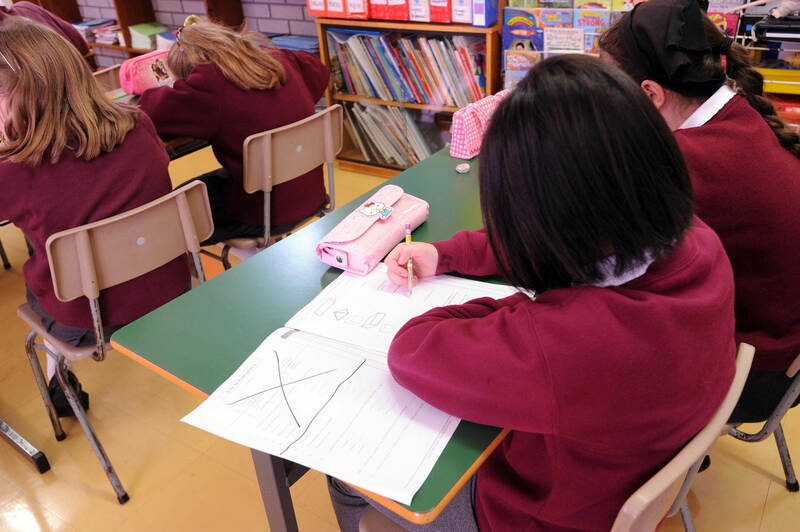 Tests should reflect the Northern Ireland primary curriculum, incorporating the best of any improvements arising from the interim tests, such as, for example, familiarisation days, provision of marks, removal of science from testing and using the best result of two out of three tests. The funding of special education needs should be given urgent priority. This, like any other issue, could not be resolved by coercion or haranguing of any group or sector by any other individual, group or sector. Education can only evolve successfully slowly, with consent and negotiation. As in any area of political activity, revolution can only lead to the taking of extreme positions, entrenchment and negativity as well as, crucially, the lack of goodwill on the part of those who are expected to implement enforced change. The EAP used as its guiding criteria three main values: feasibility, affordability and acceptability. Collaboration between schools was working naturally in some areas on a voluntary basis and, where practicable, was developing with some positive outcomes, sometimes through different models such as pairing. However, funding for school development should not be conditional on this. The Entitlement Curriculum should be aspirational rather than obligatory as it created many difficulties for schools. All schools should be entitled to set their own admission criteria rather than just grammar schools. EAP found strong arguments to recommend that transfer at 14, whilst appropriate in certain areas, posed major problems of finance, organisation, freedom of choice, diversity of provision and parental approval, and therefore was unlikely to provide a province-wide model. These matters aside, the EAP was able to address and offer solutions to a number of other key areas amongst which were: the importance of creating an agreed centralised administration system for the whole of the province; raising standards of reading, maths and oracy; bringing back teacher assessment and creativity in the key context of improving the classroom experience of children; the place and practice of vocational skills in the curriculum, and streamlining transfer between schools, FE colleges and universities. It was strongly emphasised that the talking down of the system of education by some in Northern Ireland, without being complacent about under-achievement, properly understood, did untold damage to schools, pupils and parents. Under-performance of schools could continue to be addressed by improved inspection arrangements. Under-achievement of pupils in well-defined urban areas was common throughout every developed country, and often depended for improvement on better models of intervention where there were specific learning difficulties. However, a proper understanding of projects such as the OECD comparative tables showed if anything that NI performed signally well and better than other parts of the UK and RoI. Since this was true of comprehensive as well as of selective systems, under-achievement had little to do with those systems, but rather to a complicated mix of social, cultural and economic factors. It is at best misleading and at worst mischievous to suggest otherwise. Children from disadvantaged backgrounds in Northern Ireland continue to gain admission to higher education in far greater proportions than in any other area of the UK and RoI. A moratorium on new initiatives is vital for stability. A panel of headteachers should be established to give regular advice to the Minister on any change to be introduced to schools. Potential teachers should be selected by psychometric tests designed to show a range of necessary aptitudes rather than simply academic grades at A-level. These tests worked well for entry to other professions and would prevent mis-matches between those wishing to teach and the requirements of the profession. Entry to the profession should be raised to Masters Degree level. Finally, newly qualified teachers should be guaranteed one year of work in an appropriate school, thus helping to develop professionally the emergent teacher.